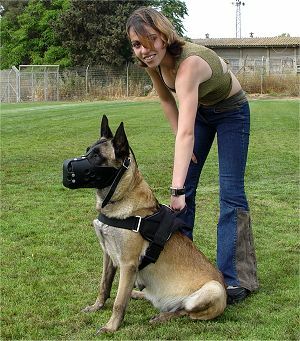 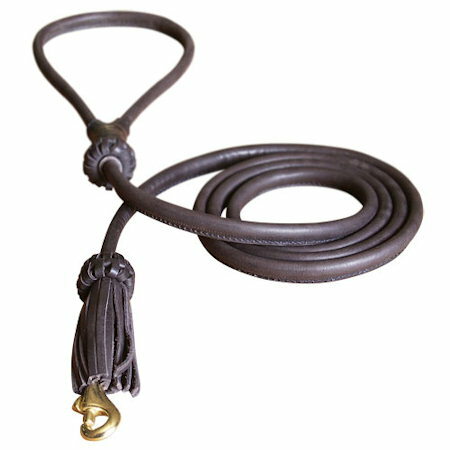 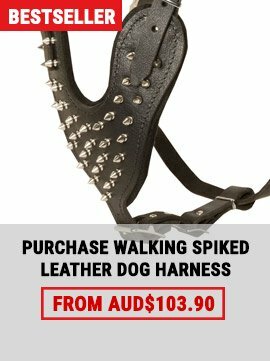 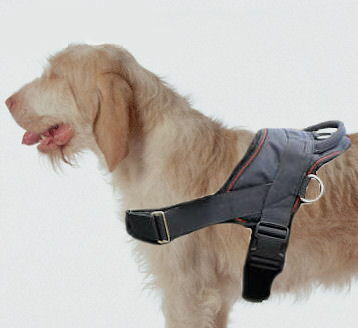 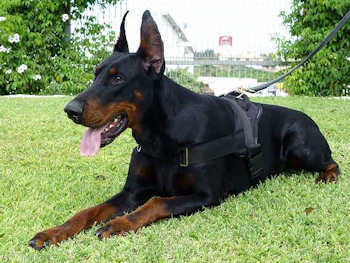 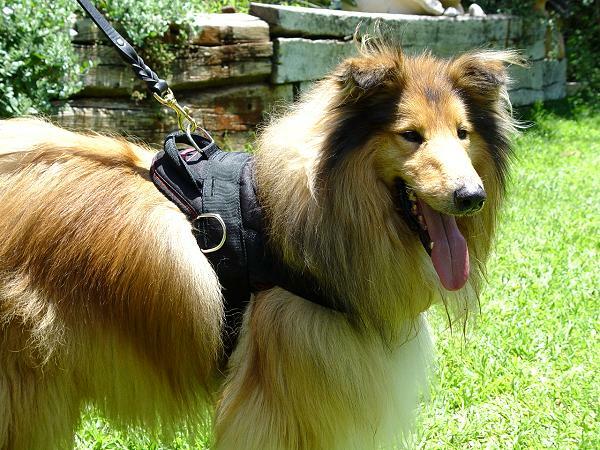 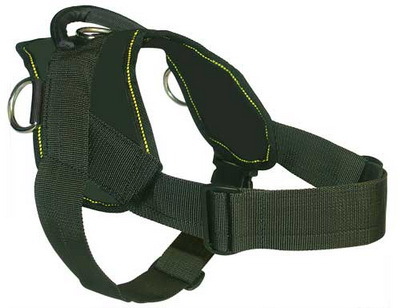 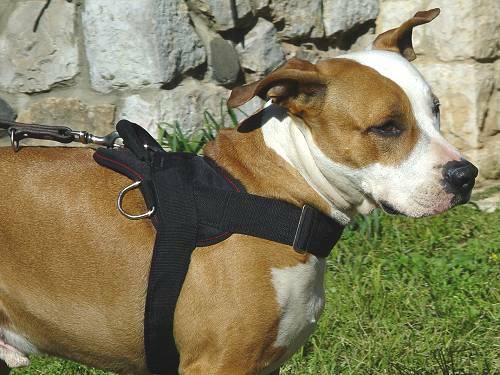 This light weight heavy duty Tracking harness will last for years. 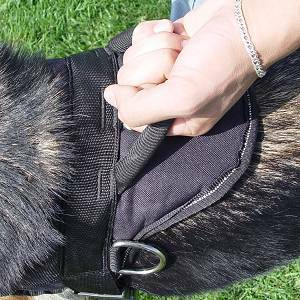 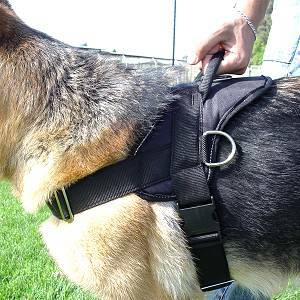 Probably the best Adjustable Nylon Tracking harness for police,service,rescue,sport or schutzhund dog.This is a great light weight harness with two extra D-Rings sewn into the sides. 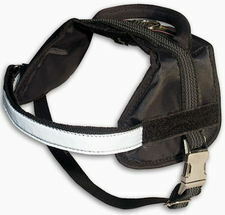 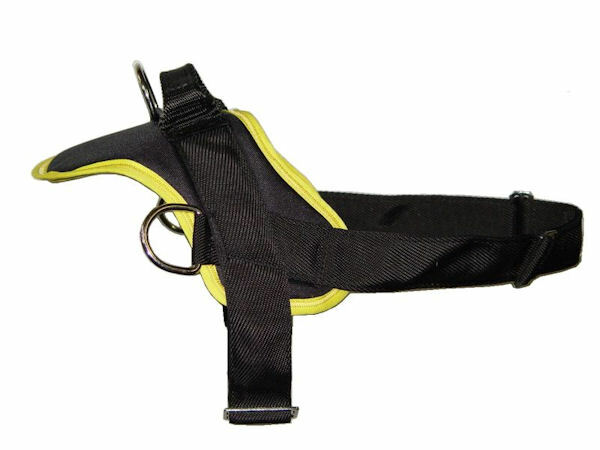 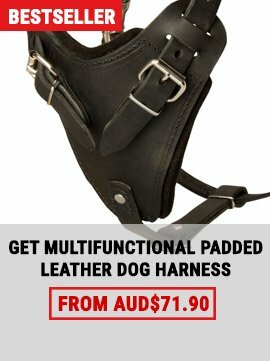 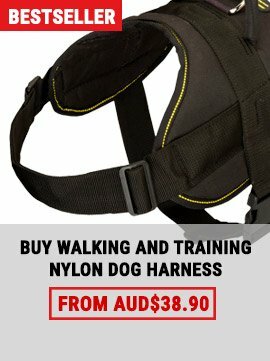 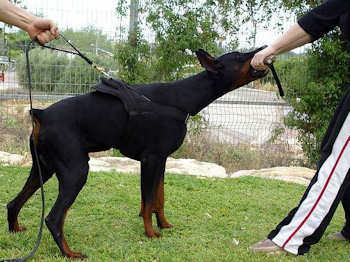 It can be used for everything from Pulling to carting.It can be adjusted in two places to get a perfect fit for almost any size service dog.The harness has 3 heavy duty D ring that will last for a lifetime.The 2 inch snap allows the harness to be taken on and off very quickly by the handler using just one hand.Our Adjustable Nylon Tracking harness is ideal for carting or Tracking trial in wet conditions.